The passive experience of watching other gamers play a game has become a platform all unto itself (and a decent career for many of its most popular stars), but streaming service Twitch doesn't just want you to watch games - it wants you to play them at the same time. The idea might sound a little reductive considering most users have come to sit back and spectate, but take a look at most of the bigger streams on Twitch and you'll find a big audience of users interacting with one another on chat. With all those users going at it, why not give them a new platform to compete on? That's where Twitch's new experimental 'Stream-First Games' come in. Announced at GDC 2016, these three browser-based games will not only enable Twitch viewers to play, but also streamers themselves to get involved. Twitch is hoping these games will spawn a new sub-genre and with each game offering a simple yet wildly different experience we're certainly intrigued to see just how well this games will do when they're rolled out. The first of these games, Superfight, is all about choosing a fictional character and drawing cards to define their powers or weaknesses. Two players go head to head and try and argue their contender before the audience votes on the winner. Wastelanders, on the other hand, is a chessboard-esque strategy game that pits teams led by the streamer and the audience vying for control of a tiled battlefield. 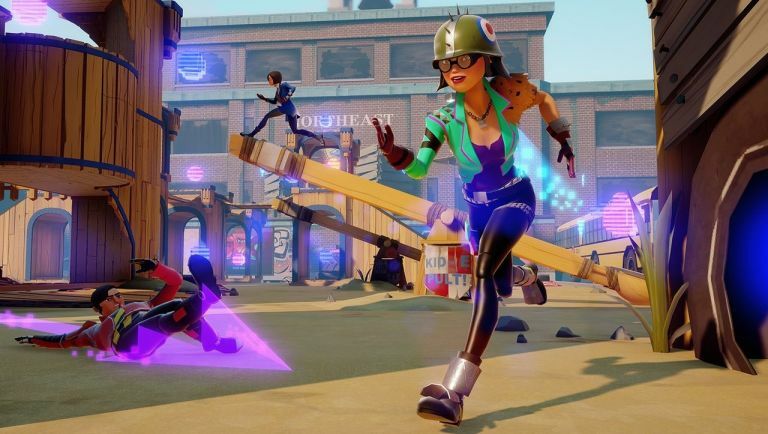 Streamline is the most ambitious of the three, offering a third-person arena brawler where a broadcaster and up to 15 viewers can party up while other viewers vote to change the rules of the game. It's all very silly and certainly won't be for every streamer and audience member, but it's definitely proof Twitch is doing everything it can to compete with YouTube Gaming's streaming service.